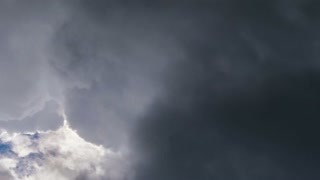 Search Results for "thunderstorm cloud time lapse"
Dark Clouds Before Thunderstorm. Timelapse. Time lapse of severe thunderstorm clouds at night with lightning. Severe lightning storm over building city landscape at night. Thunderstorm clouds with lightning. Shelf Cloud Marks Approaching Thunderstorm. A shelf cloud marks the outflow boundary from a plains thunderstorm. With its passage, winds will shift and increase, and rain and temperatures will fall as lighting flashes. Beautiful time lapse of thunderstorm cloud formations rising behind snow covered Mt. Tallac and the Desolation Wilderness near Lake Tahoe, California. Time-lapse of dramatic thunderstorm clouds with the rain over green fields. Footage of heavy storm. Time lapse of thunderstorm clouds with lightning at night. Time lapse of thunderstorm clouds at night with lightning and dark sky background, 4K. Thunderstorm clouds with lightning bolts flashing over Hollywood cityscape in Miami, Florida. 4K UHD Timelapse. severe thunderstorm clouds at night with lightning, Hell Background. abstract smoke & fume. Epic Red luminous background for your intro with space for your logo or text. severe thunderstorm clouds at night with lightning, Energy Background. abstract smoke & fume. Epic blue luminous background for your intro with space for your logo or text. Time lapse of thunderstorm clouds at night with lightning and dark sky background,4K 4096x2304. Beautiful time lapse of thunderstorm cloud formations rising along the south shore of Lake Tahoe, Nevada.